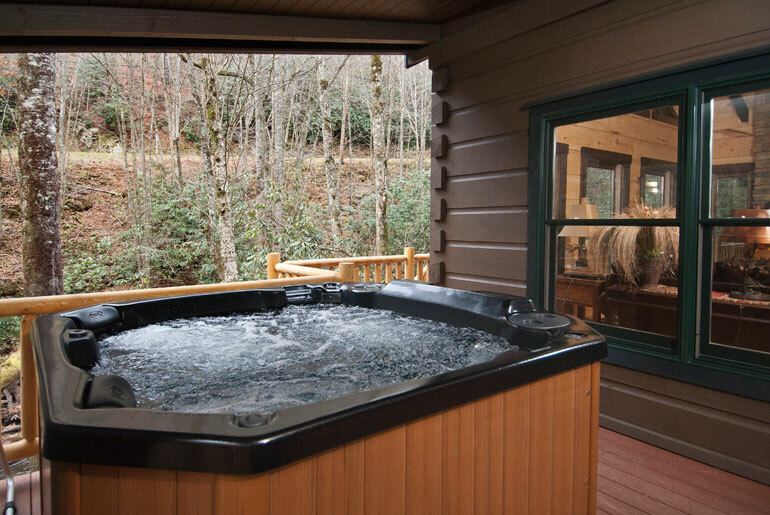 Enjoy the hot tub and the outdoor fireplace on the covered porch overlooking a scenic mountain stream. 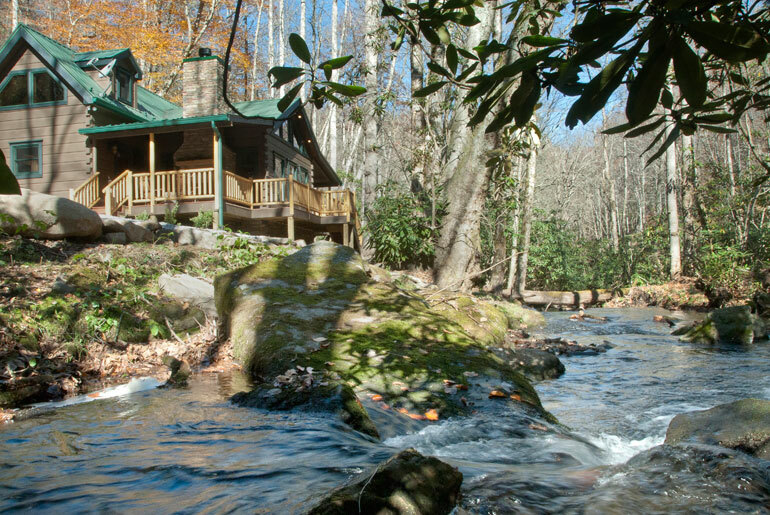 Fish in the creek, or just down the road in the Upper Nantahala River cascades known for great fly fishing spots. Or take a leisurely pontoon ride on Nantahala Lake just minutes away. 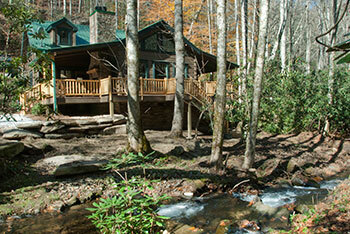 Creekside is a casually elegant, romantic one-bedroom, one and a half bath cabin rental with exceptional amenities — cathedral ceilings, hardwood floors, leather furniture, hot tub, wrap-around deck, kitchen with granite countertops, a stacked stone gas log fireplace, pool table, and premium channel TV package. 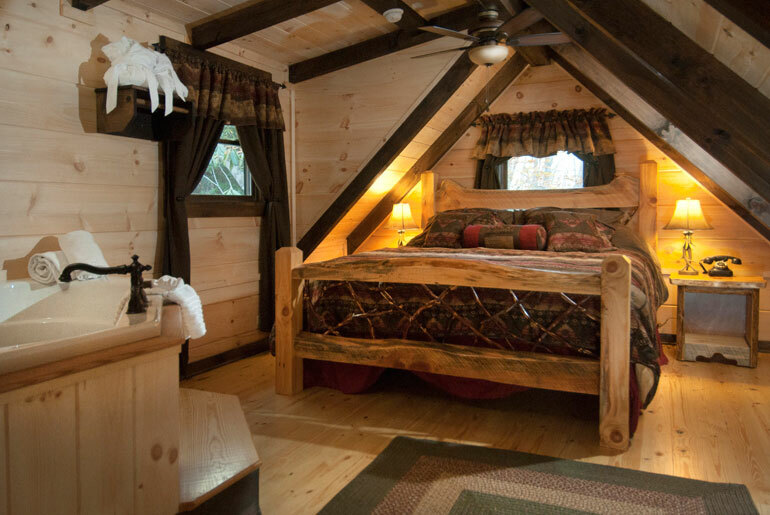 One bedroom upstairs with locally handcrafted king-size bed & large, corner Jacuzzi tub. 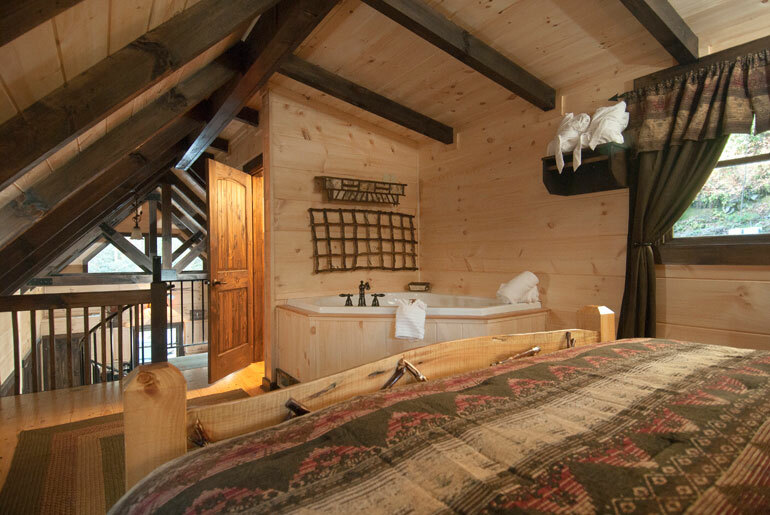 Upstairs bath with shower; hair dryer and plush robes; and an initial supply of shampoo, conditioner and bath soap. 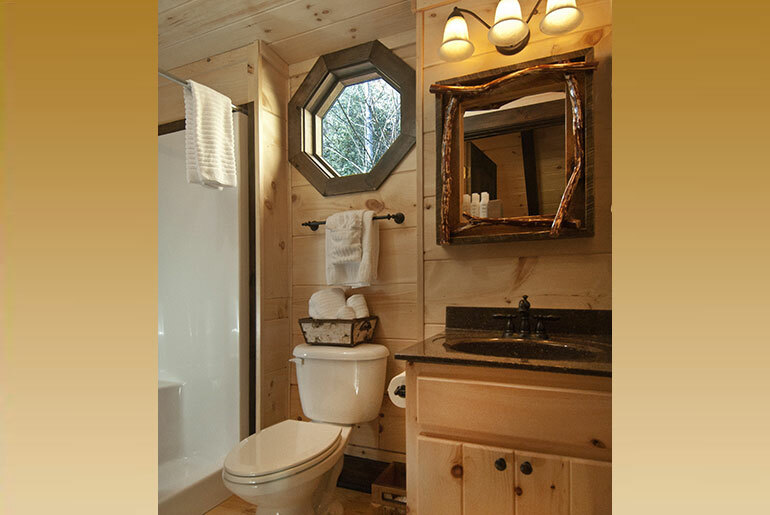 Half bath on main floor. 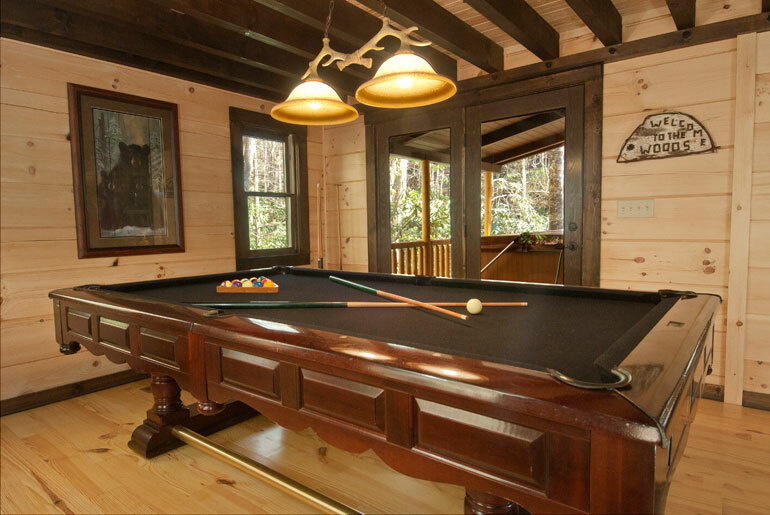 Game room with pool table on main floor. 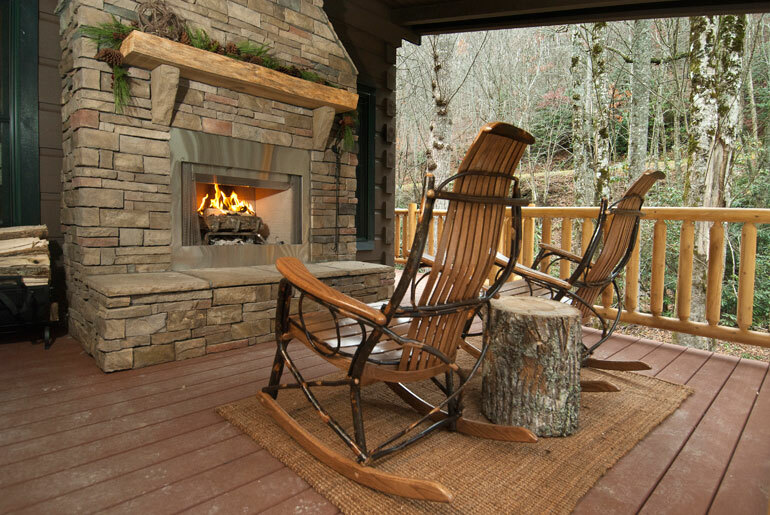 Wrap-around covered deck with wood-burning fireplace, rockers, drum-style charcoal grill, and hot tub. 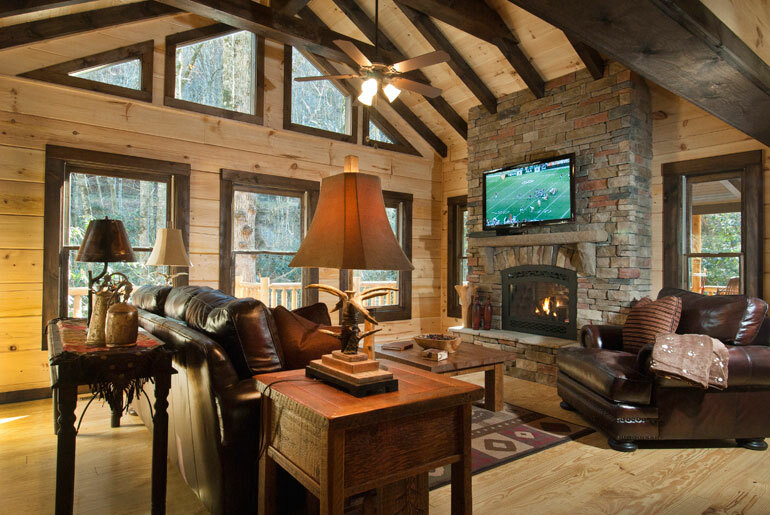 Living area with leather furniture and stone floor-to-ceiling stacked stone fireplace with gas logs. Large flat screen satellite TV. Premium channels included such as HBO, Cinemax, Showtime & NFL package during football season. DVD player. 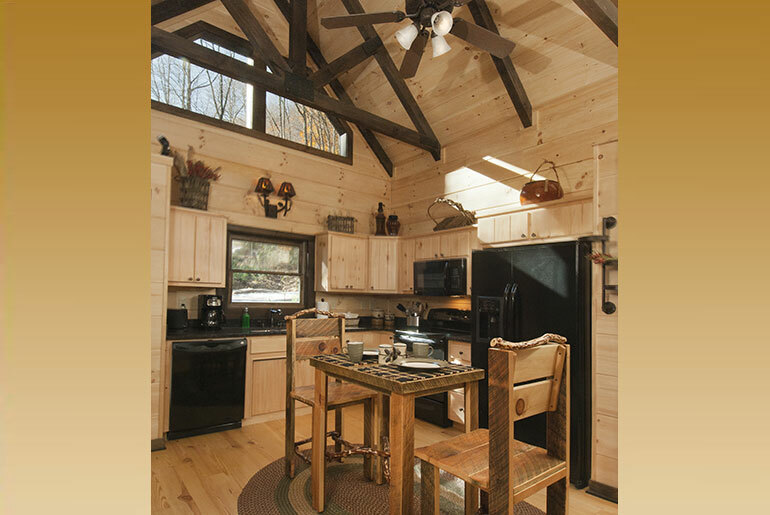 Kitchen has granite counter tops, cookware, dinnerware, dining area, dishwasher, microwave, combination oven/stovetop, refrigerator, coffee maker, toaster, blender, washer/dryer. Telephone with free long distance.